The lower the amount of animals we raise (mainly for food), the more suffering (and obviously killing) we avoid. Lowering the amount of animals raised can come as a result of different things. Basically, it would be the consequence of a lower demand for animal products. We can help lower demand by increasing the number of vegans (which is kind of the default objective of our movement). We can also get many people to reduce their consumption of animal products. This, in itself, can be done in different ways. People can reduce the number of meals (or days) in which they consume animal products. Or – and this is a strategy not commonly considered – we can produce animal products which contain a lower amount of animal ingredients. A Toyota Prius is called a hybrid car because it runs both on gas and electricity. In a similar way, there are hybrid food products: they are part animal, and part plant-based. Jos Hugense, founder and CEO of the Dutch company Meatless, is at the forefront of this technology. Vegan Strategist: Jos, can you explain to me what Meatless is? Jos Hugense: Meatless produces texturized products based on grains and legumes for food processing companies that manufacture vegetarian, meat or fish products. To bind our products, we use ingredients from seaweed, rather than extrusion techniques. We only use natural whole foods as basic material, and our products are unique in the world. They are used in vegetarian and vegan products, but also in processed meat and fish products to replace part of the meat or fish. These so-called “hybrid” meat products are one more way of replacing and reducing raw materials of animal origin. Can you give an idea of the size of your operation? 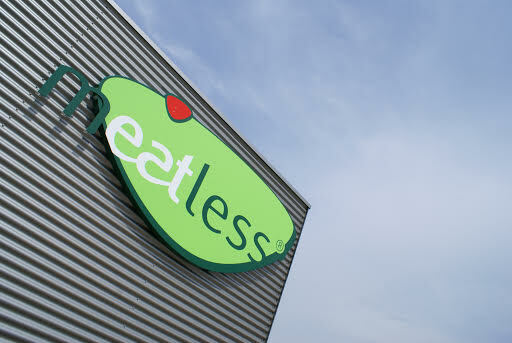 Meatless operates in twelve different countries and has now substituted around ten million kg of meat since we started in 2006. We have seen growth numbers of over twenty percent every year since 2010. We currently produce one ton of product per hour. A second new production line is being built and will be in production from September 2017. I worked in the meat processing business for over thirty years. During the BSE (“mad cow disease”) epidemic at the end of the nineties, I started to look for more healthy, low-fat meat products. The sustainability issues related to animal farming were not very well known at the time. Then, in 2006, I came across Livestock’s Long Shadow, the famous FAO report. This was the first signal that the strong growth in livestock production after World War II posed big environmental problems. From then on, we tried to design not only healthier meat products, but we also specialized in more sustainable food, either entirely plant-based or with much less meat. What do you see happening right now in terms of meat consumption, both in Europe and globally? Globally, meat consumption is still growing, at a rate of about two percent per year. We passed a global production of 300 million tons in 2015 and are now heading for 400 million tons in ten to fifteen years time. That would mean a sixfold increase compared to 1960. In some European countries, we see a slight decline of meat consumption, or at least growth has stopped. Vegetarian/vegan products are seeing a healthy growth rate of about six to seven percent per year in Europe, as well as globally (though in the UK meat consumption has actually grown in the past years). But in spite of this healthy growth, the meatfree market is still relatively small. There is no sign yet of a drastic reduction, and we can’t talk about any real transition yet. The current situation in Germany, for instance, is €260 million in meatfree sales versus €20 billion in meat sales. So, we are nowhere near achieving a balance between meat and meatfree. Do you think your product is compatible with the ambitions of the vegan movement? Put another way: does the vegan movement have reason to support hybrid products? On the one hand, they definitely decrease the number of animals needed. On the other hand, is it possible that this is a way for meat to reestablish itself as more sustainable and healthy, and thus to keep existing? Meatless products are used in a number of successful vegan products in Europe and the USA. I don’t know if the vegan movement should support Meatless; that is a question it should answer for itself. I can tell you that myself and my product have been the subject of negative comments and discussions by vegans who believe this product is not in alignment with their values. Things often end up getting polarized, and polarization is often the end of the discussion and mutual respect. My approach to the ethical question is pragmatic. I see meat production and meat consumption as something which will not disappear in the next decades. But we need to urgently reduce our environmental footprint. Moving towards a more sustainable diet is not something we can postpone for too long. Could hybrid products help people get accustomed to the idea of eating less meat? Are products with Meatless obviously lower in meat content (i.e. is it mentioned clearly on the packaging), or is done more stealthily? We do it both ways. In the past few years, we have seen more and more acceptance of hybrid products, which means we can use this in some situations or products as a unique selling proposition. On the other hand, the negative comments and discussions I just referred to obviously do not encourage producers and distributors to be transparent. Companies don’t particularly like to be targeted by angry customers. What is the ideal percentage of plant-based material in hybrid products? How far can we go? Today, the most common ratio is 20 to 25% of Meatless in a meat product. However, we are testing up to 80% plants/20% meat for one of the big European food processors. In some applications, like hamburgers, I see that as very well possible in the near future. In any case, for all kinds of processed meat products, at least 25% is perfectly possible. I guess some of the best vegan alternatives don’t taste any less meaty than a hybrid product. Do you think most meat eaters, choosing between a vegan and a hybrid product, would prefer the hybrid? Meatless in a meat product can improve the product’s quality in such a way that in a blind tasting, it is preferred over the 100% meat product. We never had a blind tasting where a vegan product was preferred over a meat product, though it is true that vegan products can get close to “the real thing”, especially with spices and sauces. I would be very satisfied if plant-based products could match the taste of meat. We might get there, but perhaps we also have to get used to the taste of different products like nuts and beans. Eating vegetarian or vegan doesn’t necessarily mean that one will use meat analogues in every meal. Here’s a thought experiment: what are the advantages and disadvantages of each of these three scenarios in terms of bringing us closer to a vegan world? That’s a difficult question. It depends on the criterion you use. For what it’s worth, if you are mainly concerned about sustainability, I’d say 1 and 2 are similar. Whether 2 or 3 wins, depends on the nature of the products consumed – some foods are more sustainable than others, even within the vegan range. If you mainly consider the number of animals used, the three options have quite similar effects, I think. Of course, if you also consider non-food products (clothing, etc. ), then the vegans clearly win. Finally, if you look mainly at health, probably a vegan may have to pay more attention to his or her diet. But what is the healthiest of these options depends on the optimal degree of animal products in one’s diet. We eat about 250g a day now. If the optimal amount of meat and other animal products is zero, then the vegan consumer would be the healthiest. Now, of course, to determine how healthy or sustainable a lifestyle is you’d also have to look at other factors than just food. What do you think will be the role of clean (cultured) meat? It depends on the resources that will be required in order to produce it efficiently. At this time, it is a very interesting scientific experiment. But many things have to be in place, both ethically and in terms of sustainability. And there is the question whether people will eat meat that doesn’t come from an animal but from a factory, without the involvement of an animal. Many customers are very reluctant to accept chemical or industrial foods, and it’s hard to predict how they will react to clean meat. The future will tell. In the meantime, we have to do research and development and testing, and we have to work hard. Like I said, time is running out. 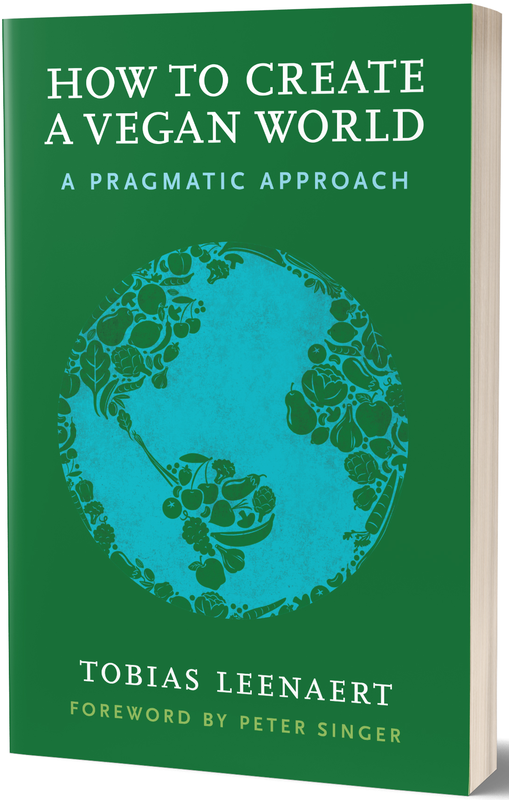 Want to read more about strategy for the vegan movement? Check out my book How to Create a Vegan World. 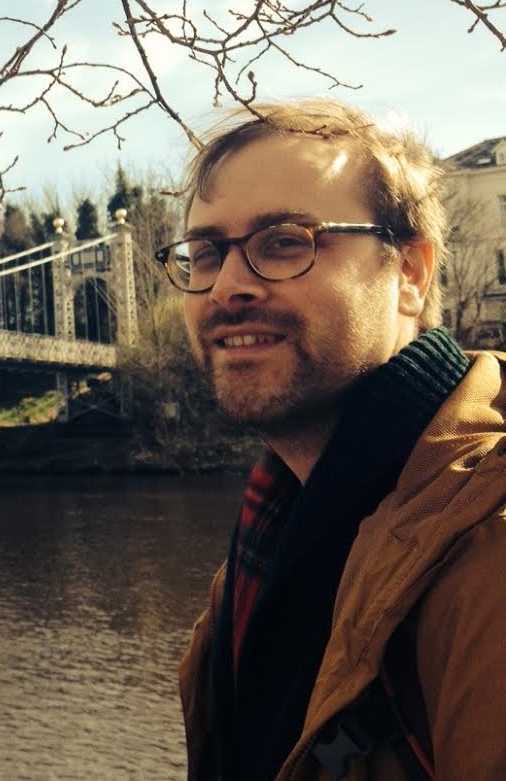 Dr. Jared Piazza is a lecturer at Lancaster University, UK. His research focuses on moral decision making, including how people think about the moral value of animals. 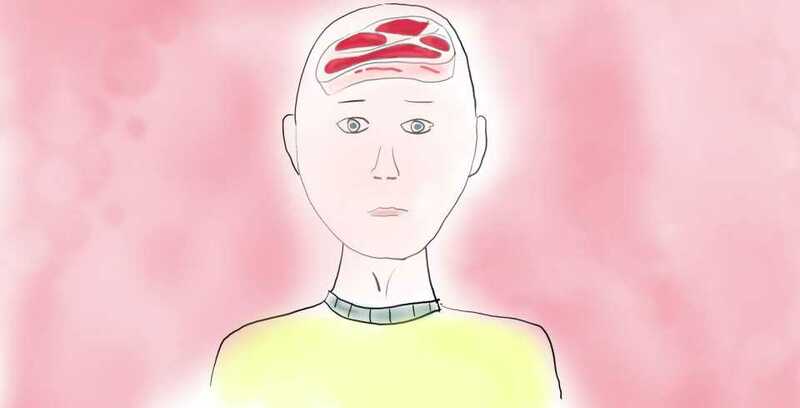 Recently, Jared and his colleagues published the papers Rationalizing meat consumption: The 4Ns, in the journal, Appetite, and When meat gets personal, animals’ minds matter less in Social Psychological and Personality Science. I heard Jared speak at the Care Conference in Warsaw in July (2016) and afterwards had an interview with him. We talked about obstacles to animal advocacy. This post is a bit longer than my usual ones, but I’m sure it will be worth your time. Vegan Strategist: Jared, why are there so few vegans in the world? We’re still at a mere one percent. Jared Piazza: There are different possible answers to that question. Is it because people don’t care about animals? I don’t believe that. Americans, for instance, spent over sixty billion dollars on their companion animals in 2015. I don’t believe that they care only about dogs and cats, and not also about farm animals. Is it because people don’t know what’s happening to farmed animals, and that all we need to do is educate them about the facts? I don’t think that’s the answer either. The movement has been raising awareness about the issues for decades. So the real answer is…? The best answer I can give is that people really love meat, and they want to keep eating it. This makes them less receptive to moral arguments about farm animals. If you can address the motivation to consume meat, then people may be more receptive to animal advocacy messages and behavior change. Appetite is something that develops very early in life, and that remains quite fixed after that. Many people are neophobic (afraid of new things) when it comes to food. So it’s not easy to change appetite. The upside of this seems to be that once people do make the switch, many of them can lose the previous appetite rather quickly and permanently. This is particularly true of people who adopt ethical reasons for abstaining from meat. If you’ve been vegan for a long time and have trouble understanding the alluring power of meat, I can recommend the book Meathooked, by Marta Zaraska. You did research into two particular obstacles to animal advocacy: moral reactance and motivated reasoning. Please tell us more. Moral reactance boils down to people not wanting to be criticized or told that what they are doing is unethical. Simply raising the issue of vegetarianism – or even just refraining from meat while dining at a table of meat eaters – can elicit this kind of reactance, as people may feel there’s an implicit moral reproach in what you’re saying or (not) doing. 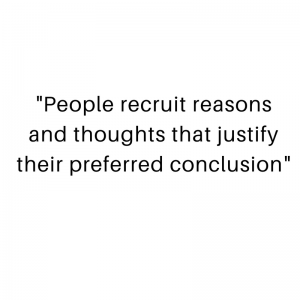 Motivated reasoning is about post hoc justifications. Rather than being open to the full range of evidence, most people want the conclusion of their thinking to be that they don’t need to make a change. 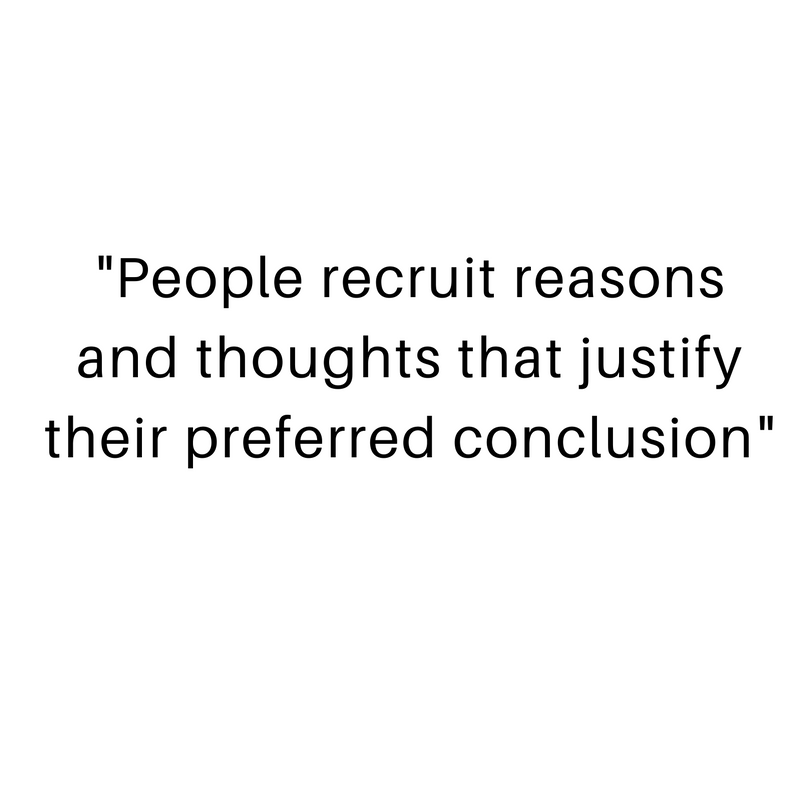 So they recruit reasons and thoughts that justify their preferred conclusion, reasons and thoughts that don’t require a change. When you are in a “motivated state” you are motivated in a certain direction. You are personally involved, and you will steer your reasoning so that it can justify your preferences – preferences which are shaped by your habits and appetites. By contrast, if you first create a context in which there is no external pressure to change, people may be more open to critically consider the full range of perspectives (e.g., consider that eating meat is unnessary.). Motivated reasoning is certainly not rational or objective reasoning. And it has some consequences that can be problematic. People will modify their views of animals so that these beliefs are consistent with their appetite for meat. This is called belief alignment. Research has shown that if you remind people that they eat animals, people will think less of animals (in terms of their mental capacities) than when they are not reminded of that fact. People will also reduce their moral concern for animals when they think of animals as food. And then there is wilful ignorance, which you tested with an interesting thought experiment. Yes, wilful ignorance is about the fact that, when people are in a motivated state, they may avoid or discount “annoying” information that otherwise would be relevant. 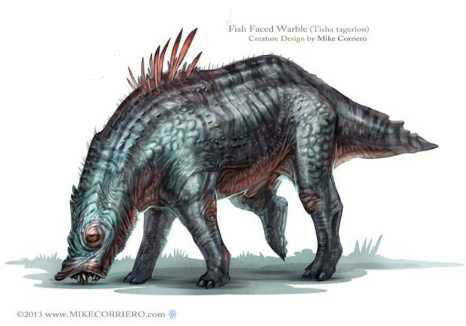 In one study, Steve Loughnan and I gave people a scenario where, at some point in the future scientists discover a new animal species (the ‘trablans’) on another planet. When we presented the trablans as intelligent, people were more concerned about the animal than when we presented it as not so smart. We saw that there was a clear correlation between the perceived intelligence of the trablans, and people’s moral concerns for it. But then we did a second study in which we also put pigs and tapirs in play, telling people that these were intelligent animals too. What we saw was that in the case of pigs, which – unlike the tapir and the trablans – people eat, the intelligence of pigs had much less effect on people’s moral concerns for them. In other words, the fact of the pigs’ intelligence was strategically ignored. How Jared and his colleagues picture the imaginary “trablans”. What can we do about all these obstacles, as advocates for animals? One thing that we can try is to avoid motivated reasoning. This is about getting to people before they need to defend their choices, that is, before they are in a motivated, defensive state to produce post hoc rationalizations. This might be achieved by getting people to think that they are already making steps toward meat reduction – by pointing out all of the tasty non-meat foods they already eat and enjoy. Indeed, this is how I moved from being an omnivore to a health vegetarian to a vegan. I first started reducing my meat consumption because my mom scared me about the carcinogenic properties of meat, so I started reducing my meat intake. Over time not eating meat became part of my identity, which made me more receptive to information about factory farming and animal liberation. Another strategy might be to create ‘safe’ environments where people can question their own reasons for eating meat, rather than having members of the moral vanguard tell them why eating meat is wrong. This may be easier said than done, but psychology may offer some helpful tips. 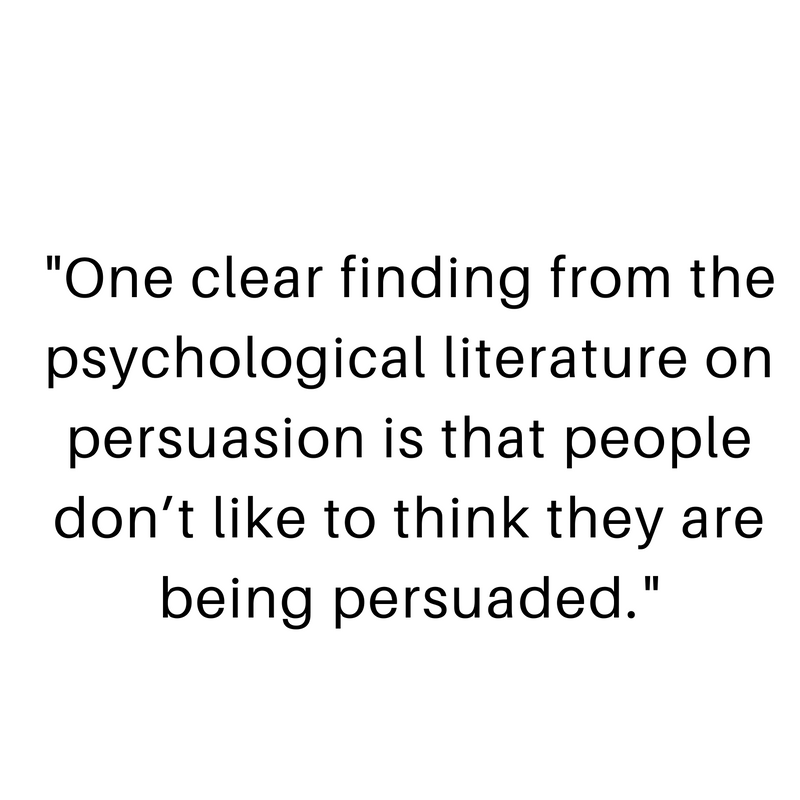 One clear finding from the psychological literature on persuasion is that people don’t like to think they are being persuaded (see persuasion resistance – VS), so don’t try to openly persuade them. Don’t say “I’m in this group and you’re not but you should be”. If as an omnivore, I’m afraid that you’re going to citicize me and I’m afraid you don’t want to compromise, then why would I engage with you if I know there’s only one direction this is going to go in? 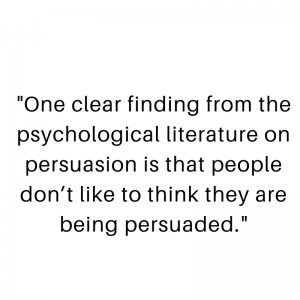 Maybe we should experiment more with giving people the opportunity to persuade themselves. In my lab we have found that if you have omnivores write a counter-attitudinal argument – for example, have them try to convince a friend why it is not necessary to ea t meat – rather than a pro-attitudinal argument (e.g., why it’s necessary), people are more receptive to compassionate messages about farm animals and are more willing to consider vegetarian meals. The idea here is that people can be convinced by their own arguments, more so than compelled by outside influences, even when these arguments go against how they originally think. So as animal advocates we might consider more ways to get people involved in the process of animal advocacy, thinking critically about animals and meat, rather than guilting people about eating meat. Maybe us vegans could present ourselves as even worse omnivores to meat-eaters, and let them take the opposite role? If rational arguments can only take us so far, what about emotional messaging? I think positive emotions can be particularly useful. One thing that comes to mind is the motivational power of seeing a baby animal. Baby animals are cute. All mammals share a “baby schema”: the physical properties of young animals (big eyes, round face, small nose) that can evoke nurturing, caring emotions and behavior. Pictures of baby animals may evoke a certain tenderness in people. 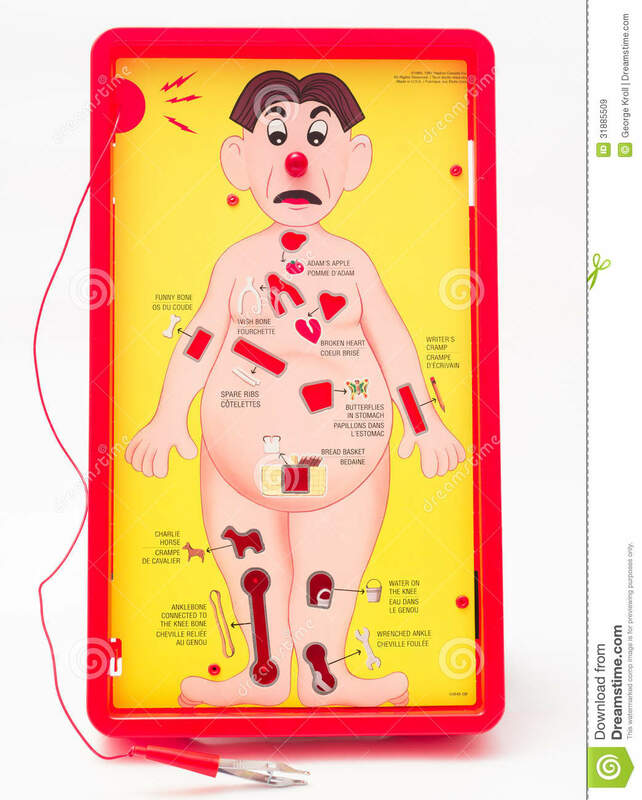 One study showed pictures of kittens and puppies to participants (or adult cats and dogs) and then had them play the game of “Operation” (a game that requires careful, fine-motor movements, as you try to remove body parts with a stable hand so as not to get ‘buzzed’). Participants shown baby animals performed better at the game, suggesting they were being more “careful.” Also, when their grip was measured with a grip strength instrument, it was apparently less hard. This made me wonder if being exposed to baby farm animals invokes more tenderness, a feeling that may be at odds with an appetite for meat. Certainly animal advocacy groups implicitly think this is the case: many ads and leaflets I’ve seen are replete with photos of baby farm animals. We conducted a few studies to test this idea and found mixed evidence for it (we’re currently writing up the results). Exposure to images of cute farm animals does seem to evoke tenderness and reduce appetite for meat, but mostly among women, and when directly linking the animal to the meat. The effect was quite small but consistent, so tenderness seems to be a useful emotion for animal advocates to target, at least among women. What about invoking negative emotions? I think trying to evoke physical disgust about meat (for instance saying that it could carry e. coli, is rotten or whatever) might be effective. I wouldn’t recommend evoking disgust toward the killing of animals however. Disgust at cruelty is not a transformative emotion: the reaction of disgust is to repel or get away from the disgusting object (be it blood, guts, or whatever). I think anger is a more transformative emotion under these circumstances because it involves appraisals of injustice, and an impulse to right a wrong. But you have to be careful with anger too, because there’s a fine line between anger and guilt. You need to put the responsibility squarely on the producers, not with the consumers. If people feel responsible for the injustice, the impulse will largely be to pass the blame, rather than seek justice. Can guilt ever work? Many vegans say they were convinced by other vegans giving them the truth straight up. What do you think? Perhaps sometimes. But I think guilting generally fails because the person being guilted disagrees with the charges that they are doing anything wrong, and there are too many justifications easily on hand to dismiss the charges as valid. You also did research on Melanie Joy’s three N’s of justification: eating meat is necessary, natural, and normal. Yes, my colleagues Steve Loughnan, Matt Ruby, and I were interested to find out if Joy’s three Ns – that eating meat is necessary, natural, and normal -were the main justifications people gave when defending their right to eat animals. All three of us had read Melanie’s wonderful book, and wanted to put her theory to the test. So we recruited omnivores, a group of U.S. adults recruited online and a separate group of undergraduate students recruited at the University of Pennsylvania. We simply asked them “Why is it OK to eat meat?” and we categorised their responses. To our delight, we found evidence that people actually offered the three Ns that Melanie had written about. They also offered a fourth N – eating meat is nice (i.e., pleasurable, tasty, etc.). This is an odd argument to defend one’s right to do something harmful, but people offered it quite frequently nonetheless. Thus, we arrived at the “4Ns” of meat eating justification. Necessary was the most widespread N, but Natural and Nice had the highest level of endorsement, suggesting to us that they may be the least malleable of the four. What are some of the other things that you think are worth looking into, researchwise? I really think we don’t know a lot about why some people do end up as vegetarians or vegans. We know more about the obstacles people face toward meat abstention than how some people find their way to vegetarianism and veganism. What psychological characteristics or strategies enable such lifestyle commitments? Could anyone “go vegan” or is there something in particular that sets vegans apart? I’m particularly interested in better understanding how some people can be moved by the suffering of farm animals to such a degree that they quit meat eating “cold turkey” (pardon the metaphor), never again to succumb to the temptation of meat. I’m also interested in better understanding how so many people can be exposed to the same information about mass animal suffering and react with horror but simply do nothing about it. To finish, I’d like to hear some recommendations you have for activists or the movement. I guess my first recommedation would be to do your best to avoid the moral reactance and motivated reasoning when discussing the issue of eating meat with people. This is not always possible, but put yourself in their shoes. 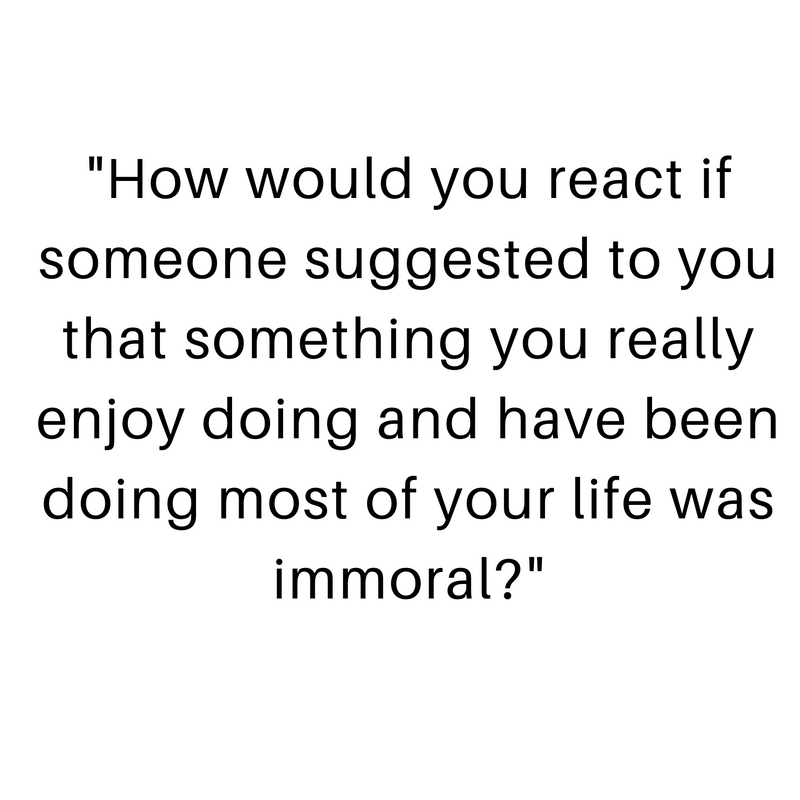 How would you react if someone suggested to you that something you really enjoy doing and have been doing most of your life was immoral? Perhaps this is something that you never considered to be a problem before and brings you daily pleasure. Do you think you would be receptive to their message at first? Or would you question their arguments? Would you immediately stop what you have been doing all your life, or would you immediately think of ways in which what you’re doing is perfectly acceptable and not problematic? Once you have made the conversion to not eat meat, it is easy to forget what it is like to see things from the other side – from the perspective of the meat-eating majority, who are wondering what all the fuss is about. I’d also recommend to advocates to be inclusive and welcoming, and not to give up. We need people to think they really can make a change. We need to empower people, not only with an awareness of how meat production is destroying our world and ruining lives (lives that truly matter), but also give them an opportunity to imagine other ways of viewing the world, particularly how they view themselves, so they can reason through the arguments in a less defensive, self-preserving manner. I think we may have greater success that way. Thank you, Jared, for this interview! Kristina Mering is an MA student of sociology at Tallinn University (Estonia) and has conducted interviews with slaughterhouse workers about their attitudes towards animals and their job. She did this at the largest slaughterhouse in Estonia. Kristina presented her work at the CARE conference (Conference on Animal Rights in Europe) in Warsaw (July 16). I interviewed her after her talk. VS: What prompted you to do this research? Kristina Mering: This research project was a part of my BA studies in sociology. I chose the topic of slaughterhouse workers because it seemed like interesting material for research. I also wanted to understand how these people cope with the violent nature of their work. To me it seemed like a good way to understand the human-animal relationship on a broader level. Can you describe this slaughterhouse? Is it representative for the industry? It’s the biggest and the most modern slaughterhouse in Estonia. They kill both pigs and cows. There are 21 people involved in dismantling the body of a pig, 37 for a cow. The line starts with the stabbing and ends with marking the meat for nutritional content. The pigs are put in gas chambers before they are killed by a stab in the neck. The pigs used to receive electric shocks to make them unconscious before the stab, but this sometimes made the bigger pigs even more anxious rather than unconscious, so they changed it. The gas chambers are also torture but at least the pigs won’t be stabbed while conscious. It’s the lesser of two evils. 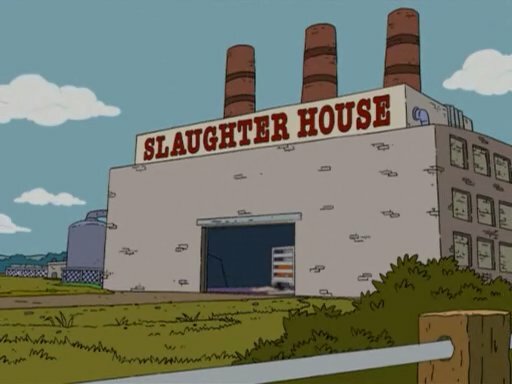 What are the qualifications people need to apply for a job at this slaughterhouse? There are no real job requirements. Basically the hiring procedure was as simple as this: the applicants are shown a video of the slaughter process. Those that don’t vomit, get accepted. They learn everything while doing the job. What are the working circumstances like? There’s a really high work pace. About three pigs are killed per minute. The workers are subject to rapid repetitive movements, incurring blisters and stiffness, having to work in heat and cold with really sharp knives which can cause accidents. All agreed that they were underpaid for the work that they do. What do the slaughterhouse workers think about their job? None of the interviewees saw it as their calling in life and the way they ended up working in a slaughterhouse was mostly coincidental. Basically, they’re working there because other options are rather unavailable. The turnover is extremely high. How do they deal with the “unpleasantness” of the work? In order for them to be able to do their work, they need to block out all emotions. Since they understand that they are taking the life of an animal, they need a strong blocking mechanism to keep thoughts like this out. They build a routine that numbs the emotions and lets them do their work without thinking about the killing. When I asked one person about the stabbing, they put it like this: “If we would think about it, it would be the wrong place to work.” They wear earphones and listen to music or the radio. The belief that there have to be slaughterers in the world, that someone has to do the killing, also helps them cope. There seemed to be an urge to justify the slaughterhouse as an institution, and their role in it. They couldn’t imagine a world without slaughterhouses? They couldn’t envisage a vegetarian world. When I asked them about a world without slaughterhouses, it rather made them confused about who would kill the animals raised in farms then. What is the most suprising thing you learned? That none of these workers was able to kill baby calves. Sometimes a barn in the region burns down and the owners look for a way to get rid of the calves, which then go to the slaughterhouse. The usual blocking mechanisms don’t seem to work with these young animals. “Calves are something different,” one of the workers told me, “I’m unable to make my heart cold to them”. The tears of baby calves affect the workers a lot more than the tears of adult cows which they see on a daily basis. 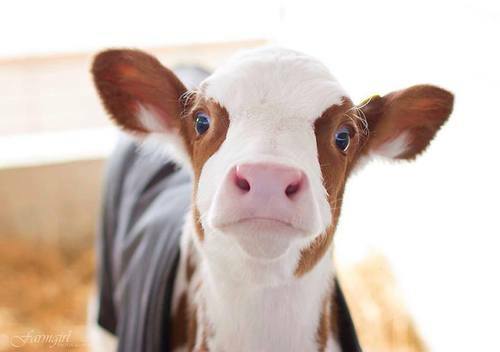 So the surprising thing was, that when fifteen or so calves were sent to the slaughterhouse during an emergency, the workers couldn’t kill them and they were actually sent back. Yes, if no humans were involved, this would obviously create even more distance between the act of killing and meat production and consumption. There is indeed a very strong tendency to automatize the whole process, and I would expect that somewhere in the future there will be just a few people supervising the whole thing. It probably wouldn’t be easy, however, to automatize the whole process. In this particular slaughterhouse, for instance, ten people are involved in just the skinning of the cow. How was it for you to do this research? I completely switched off my emotions, I guess in a similar way to what the workers do. While observing the kill line and seeing animals being bled to death in front of me, I tried to be as rational as possible about it, and to get as much info about the situation as I could. I saw it as an opportunity. I asked questions while the pigs were being killed. It was only when I was on the bus back to my home town and I could breathe calmly, that I noticed how my legs had started shaking. It was the first moment that I could be myself again and I understood how it had affected me. I still have the boots covered with blood stains from the slaughterhouse. Did you find it possible, or easy, to empathize with the slaughterhouse workers? I wanted to gather info to understand what it’s like for them to do this kind of job. It kind of persuaded me that it is unimaginably difficult and that their hands are often tied. What is also important is that they didn’t make this choice voluntarily. I don’t empathize with what they are saying about killing animals, obviously. But I don’t need to agree with their stance on animals in order to understand that what they are going through is also very hard. What would you reply if someone said that we shouldn’t pity those people because what the animals are going through is incomparably worse? The fact that what animals go through is worse, does not mean we shouldn’t have compassion for the workers themselves This isn’t about some suffering-competition, but about seeing the problems of the system as a whole. I believe the horrible working conditions at slaughterhouses can in some cases be a helpful argument for people who don’t get the “animal message”. What do you hope to achieve with this research? My aim was to peek inside the slaughterhouse and to show that the workers there shouldn’t be called “evil” or “bad people” (as I sometimes hear from some animal advocates). The core problem is the animal-industrial complex, the system of exploiting animals which also has negative effects on the workers in the system who are supposed to be the people keeping the system alive and going. Yesterday Teagan, from the blog Teagangoesvegan.com, had a chat with me. As Teagan put it, we talk about fetishizing dogmatic consistency, getting a whole city to recognize going veg one day a week, and why I believe a vegan world is possible. Also check out Teagan’s other episodes. Right before me she also did the Vegan Bros!